Opening times Tue–Sat noon–10pm; closed Mon & Sun. Seasonal times Festival: Mon–Sun 11am–10pm. Food served Tue–Sat noon–3pm, 5.30–9.45pm. Closed Sun/Mon. A historic building in a fantastic location beside the castle, serving well-presented Scottish dishes with a focus on local produce. Historic Cannonball House enjoys a spectacular setting adjacent to Edinburgh Castle. Over the centuries, it has had various uses; indeed, classroom memorabilia nods to its days as a primary school. Moody black and white images adorn the walls in the dining room which has tartan-covered banquettes and tables positioned to enjoy views of the castle and Royal Mile. Friendly staff explain the reliance on local produce, some of it from the restaurant’s kitchen garden that adjoins the Contini family home in Midlothian. Alongside à la carte and vegan menus is a flavour-packed, five-course Taste of Scotland option. Home-grown mint adds a new dimension to creamy celeriac soup, the smoked salmon that follows is enhanced by pickled salsify and crispy capers, while pork belly and dauphinoise potatoes are nicely teamed with spiced pear and spinach. 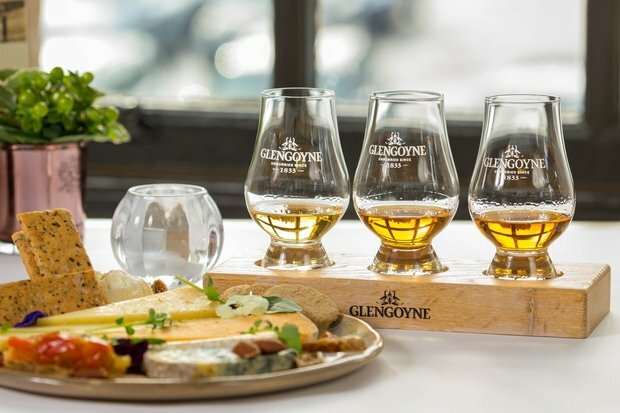 A tour of local cheeses brings a range of textures and flavours to the table before a dessert combining light ginger cake with vanilla custard and poached rhubarb, followed by a petits fours finale featuring that timeless sweet favourite, Scottish tablet. Our taste of Scotland menu showcases Scotland's artisan suppliers. Fresh East Coast lobster, oysters, Belhaven Smoked salmon, seasonal Scottish game and the best Scotch Beef from Inverurie are always on the menu. And, of course our haggis cannonballs are not to be missed!